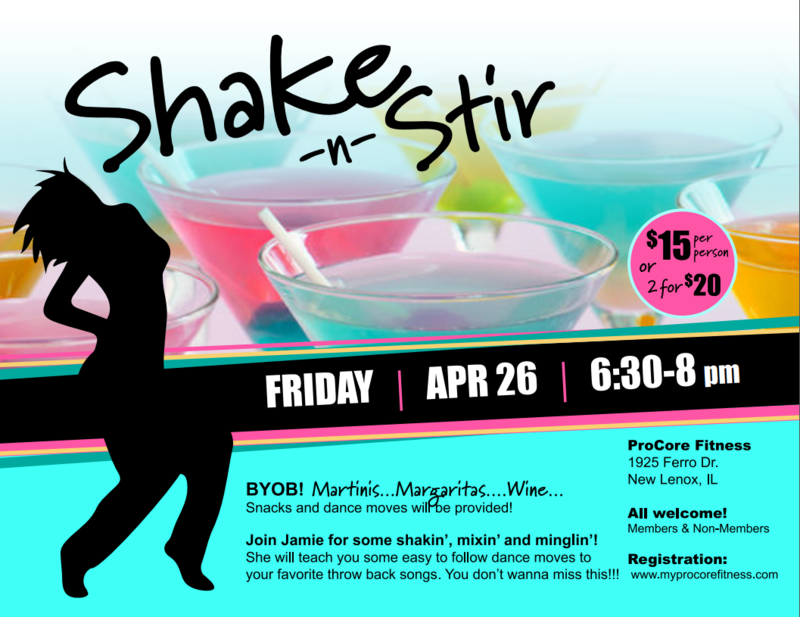 Sign up HERE for Shake-n-Stir! 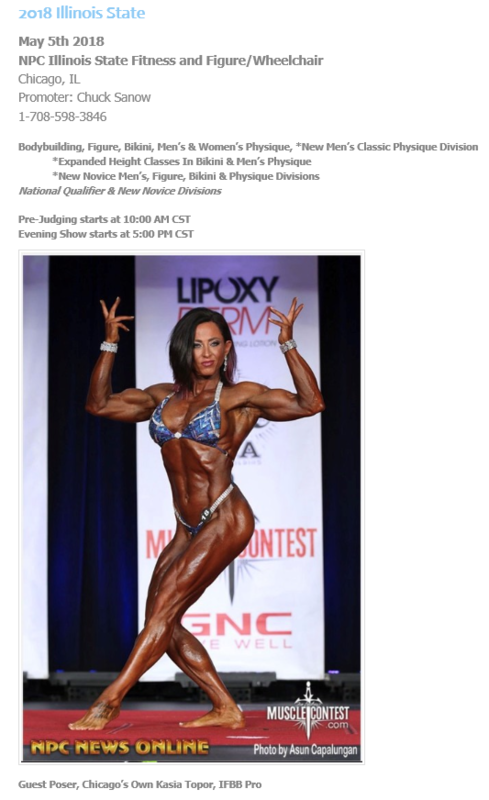 ProCoreFitness's very own is the official Guest Poser of the 2018 Illinois State BodyBuilding Competition! 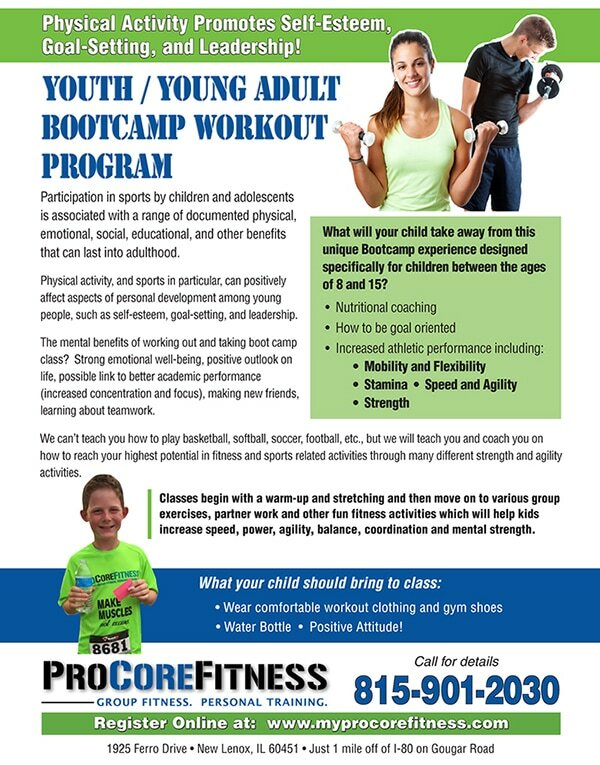 More Kid's Boot Camp coming soon! The BadAss Barre Special Event is a one of a kind event that combines multiple unique techniques learned by Kasia in her over 20 years of teaching group fitness. The class will use a combination of postures from disciplines of ballet, yoga, and pilates. The use of a prop will be incorporated for balance. The exercises will focus on isometric strength training with high repetitions of small range-of-motion movements. To top it off we will throw in a few movements that are typically used in pole dancing classes. Ladies, get moving to the hottest and sexiest songs while burning some major extra calories during this unique special event!